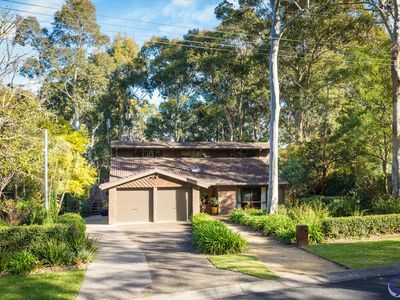 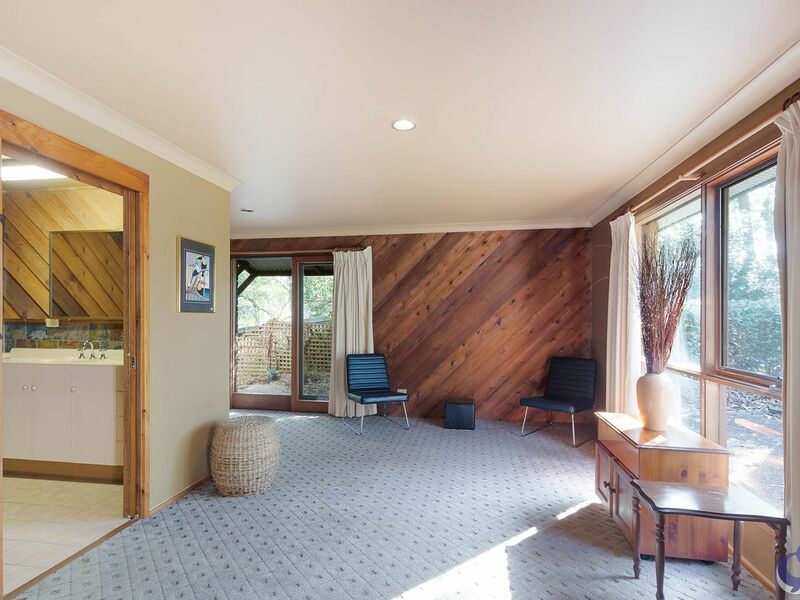 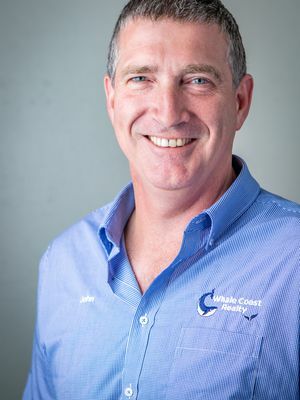 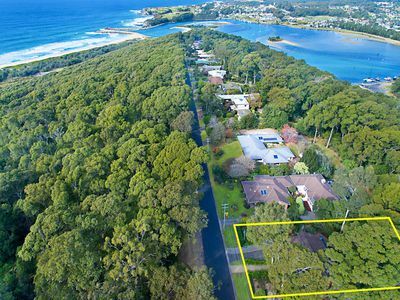 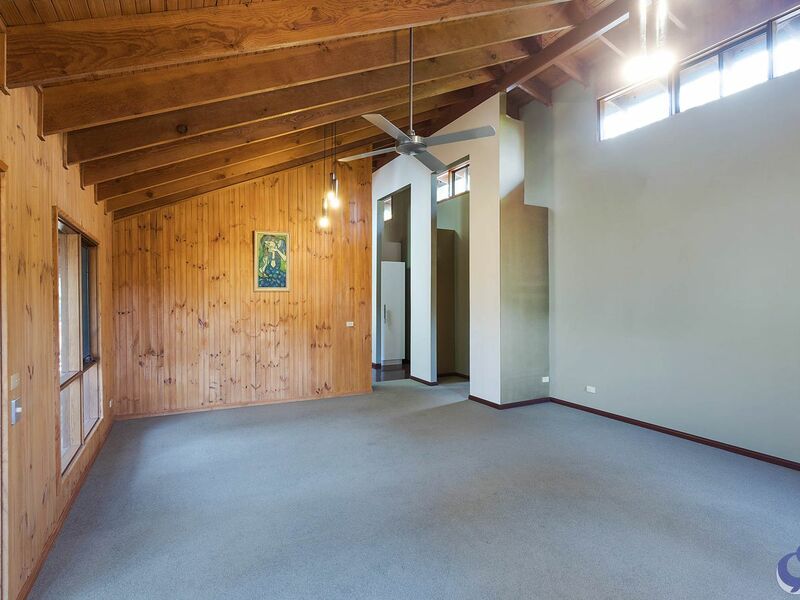 Exceptionally interesting design and renovated 3 bedroom + study, 2 bathroom residence, on a large peaceful mainly flat landscaped block in one of Narooma’s most private and finest locations. The lovely street appeal gives indication of the character within the solid brick and tile residence. 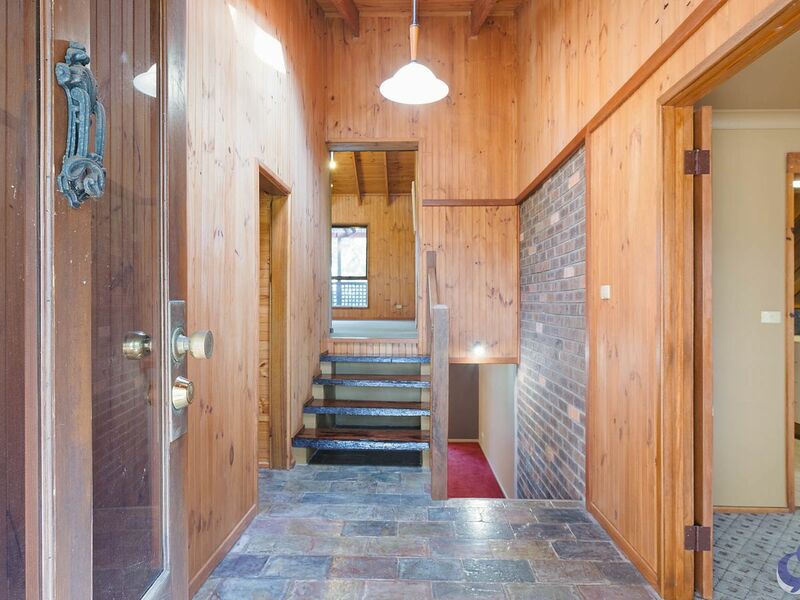 Entry is via a grand slate foyer or through internal access from an automatic double garage. 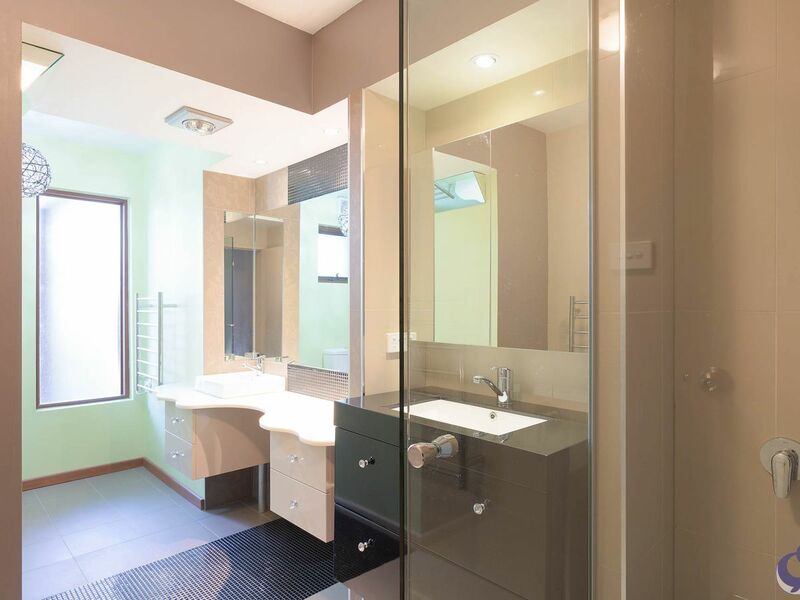 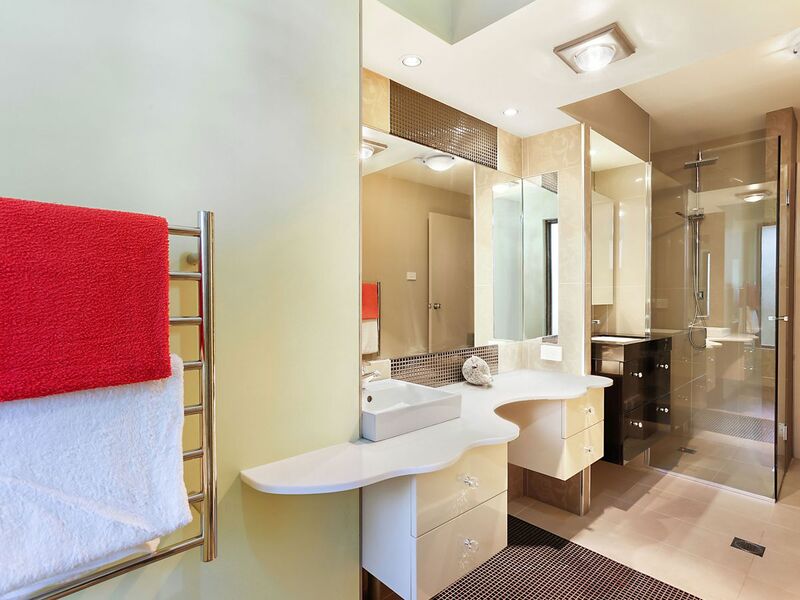 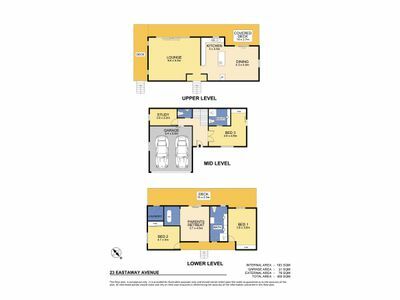 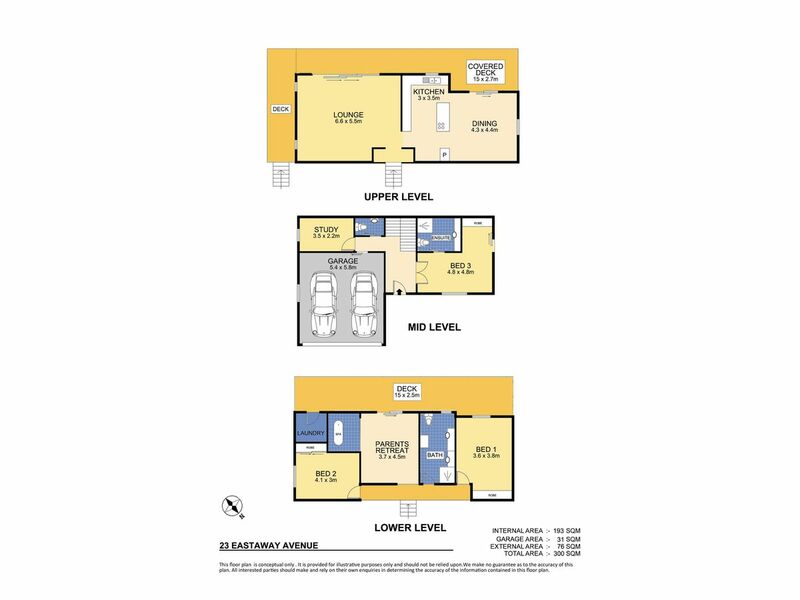 A large main bedroom with ensuite, second bathroom and study are at entry level. 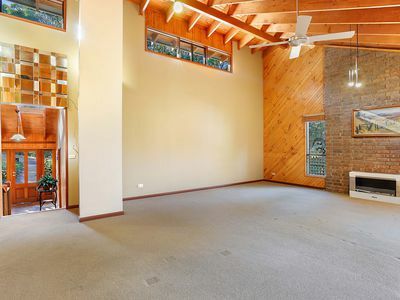 Step up a level, you are greeted by a fantastic cathedral ceiling in the living room and a hidden, fully modernised kitchen with dining room, giving you a great sense of space throughout. 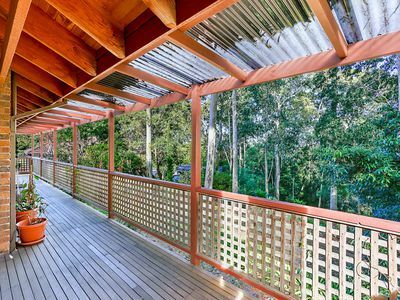 The entertaining deck leads out from these areas, providing undercover entertaining space overlooking a private, peaceful and established garden with a bush outlook so you can enjoy all the native birdlife. 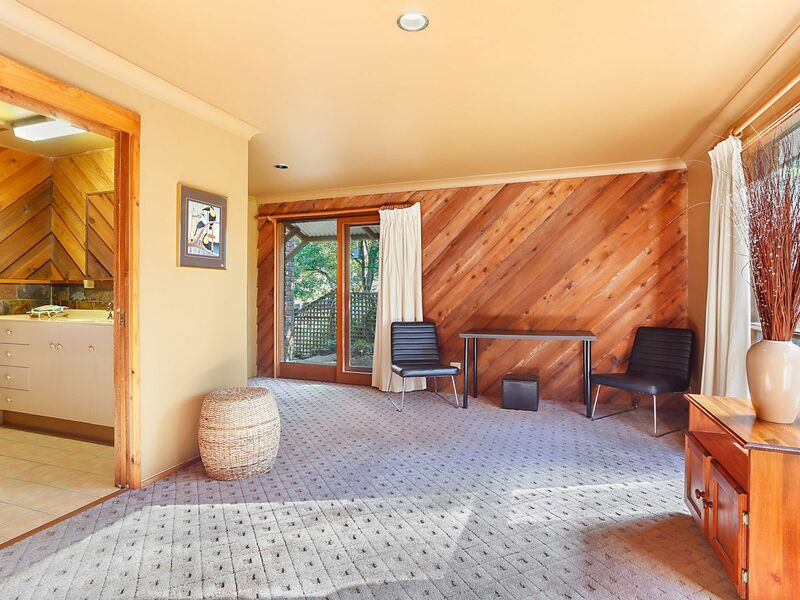 Downstairs to the lower level you arrive at the parents retreat or 2nd living area, two large bedrooms and a fully renovated his and her bathroom. 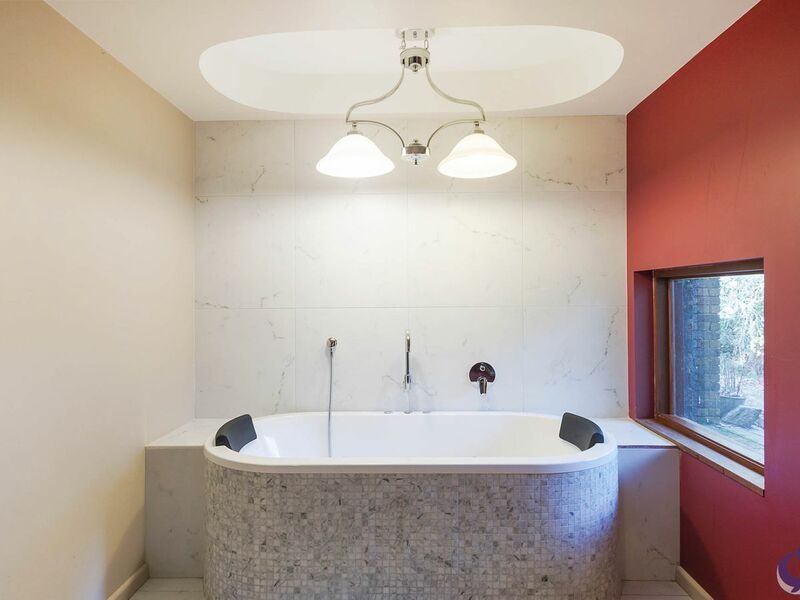 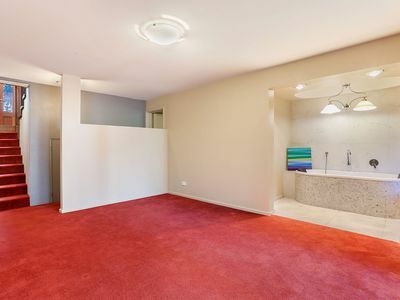 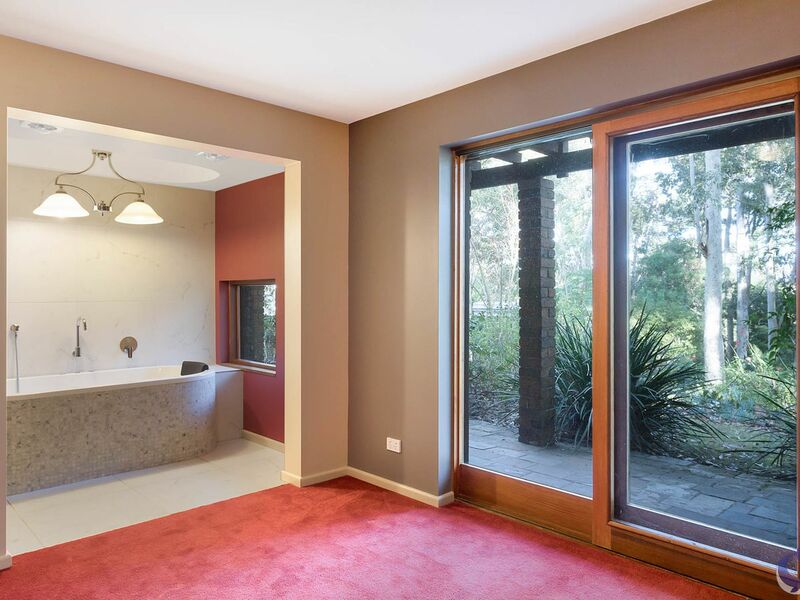 The living space/retreat sports a fantastic featured his/her stand alone bath, which you can soak in for hours while you take in the delights of your very private back yard. 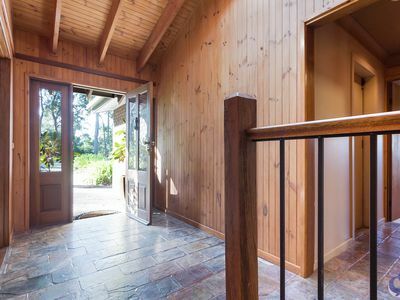 Under stairs storage is ideal for a wine cellar. 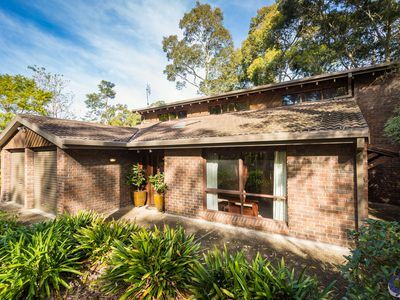 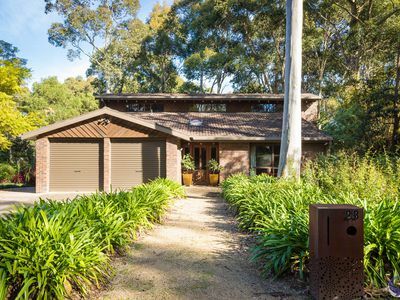 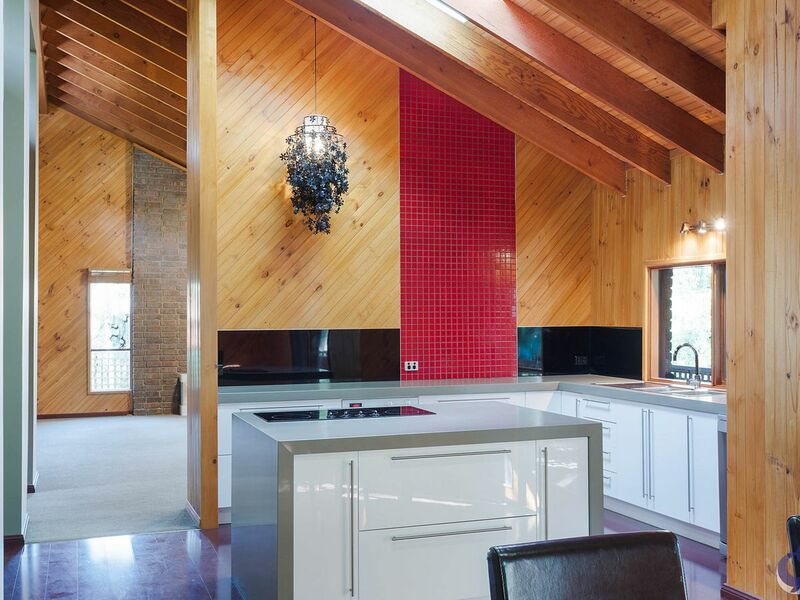 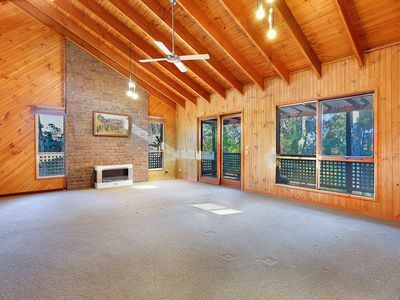 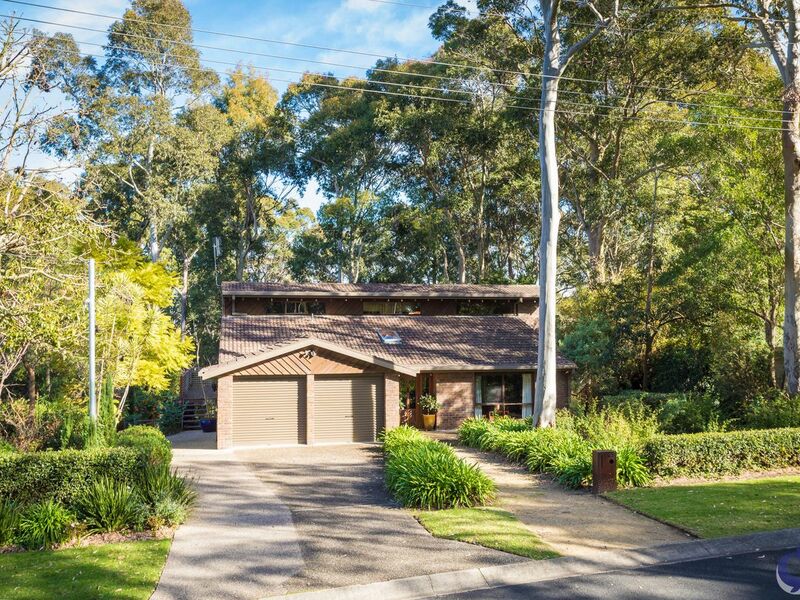 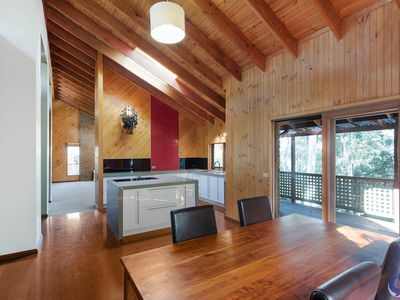 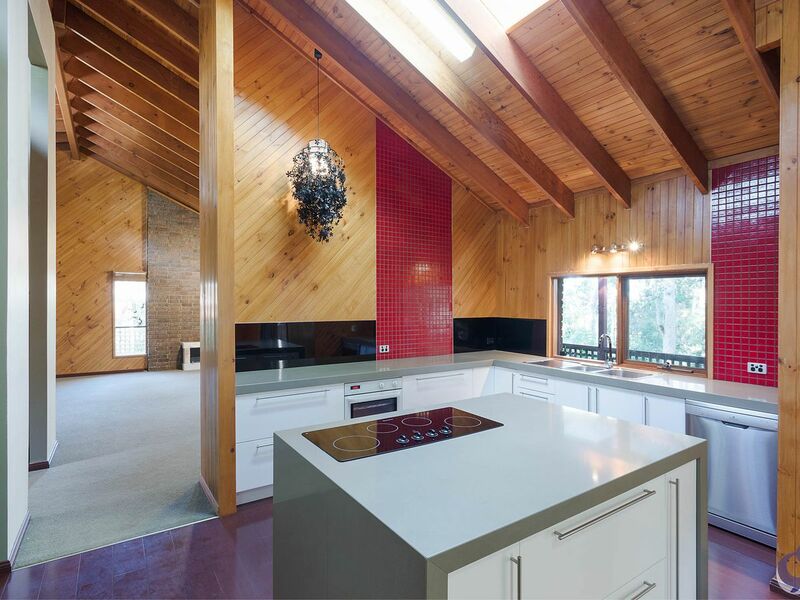 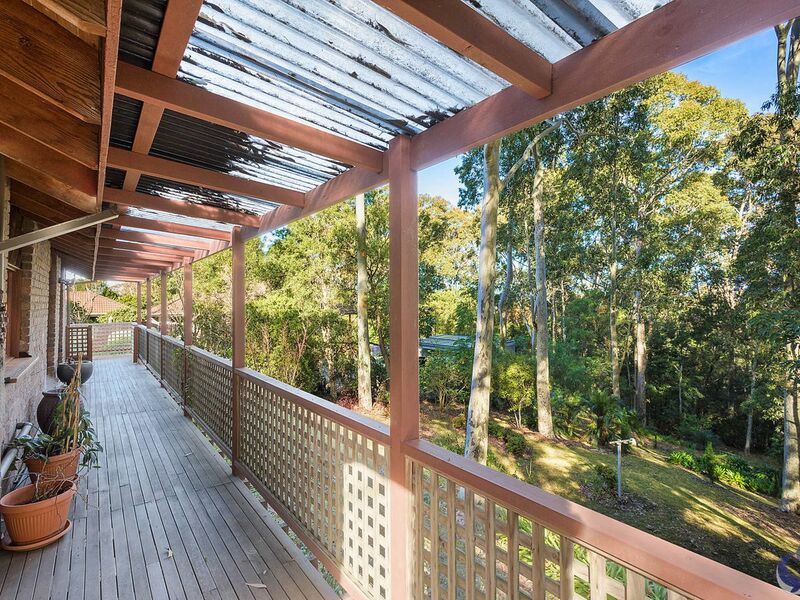 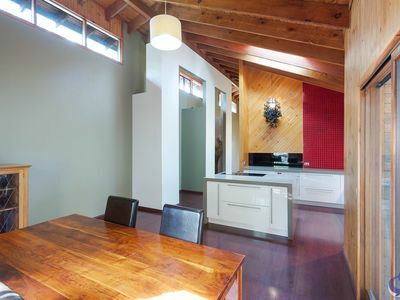 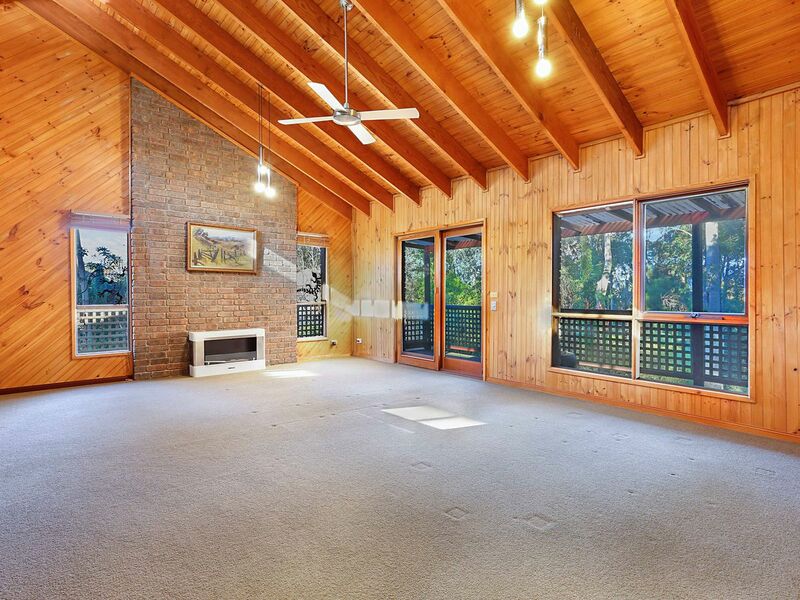 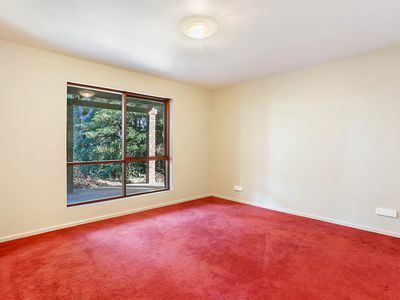 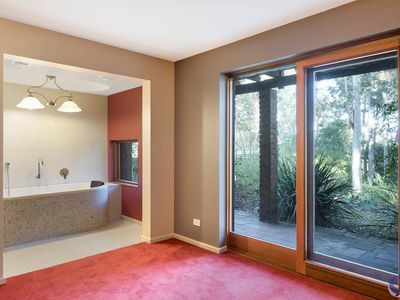 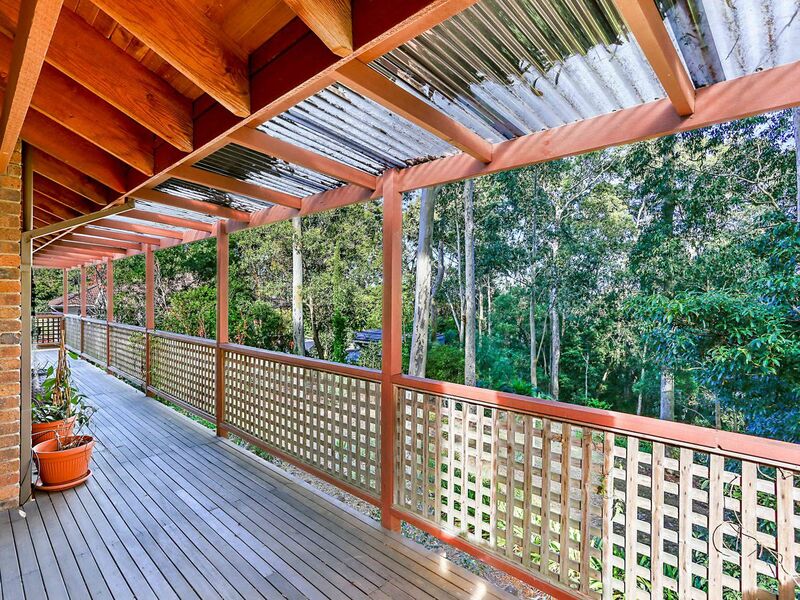 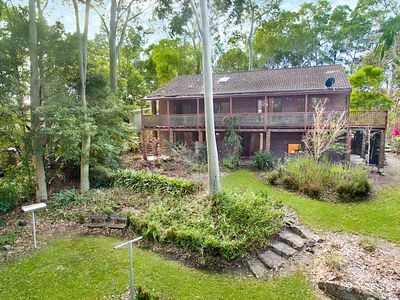 The unique design of this house will make many buyers take notice, its immediate appeal to many with its peaceful and private location, outlook and options including the bush setting with filtered views of Gulaga (Mt Dromedary) and hearing the waves from Bar beach from the front. 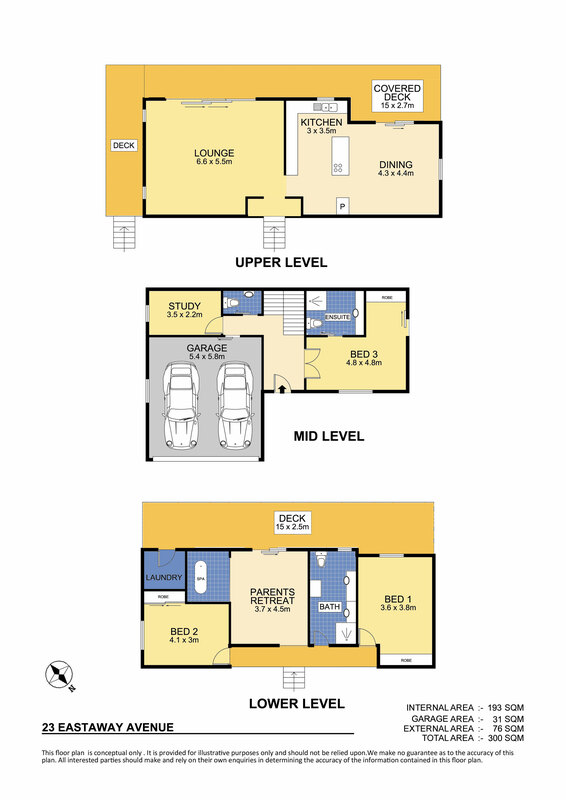 This is an ideal retirement / family / holiday home if you are seeking privacy, genuine quality, chic designer space and total tranquillity. 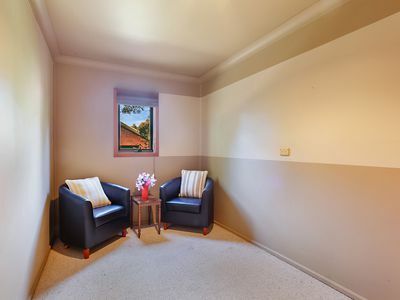 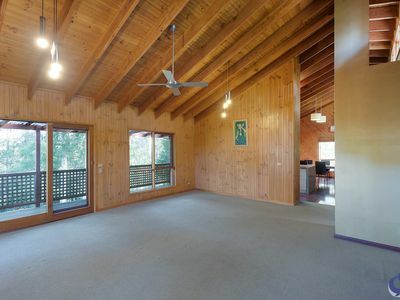 A perfect location, you can stroll down to the beach, to Narooma’s boardwalk or in to town, very convenient!